The biscuits of Mongolia project, #3. Mouthfeel: sand and bitter herbs, honey and locusts. These biscuits are significantly more disturbing than the previous ones. 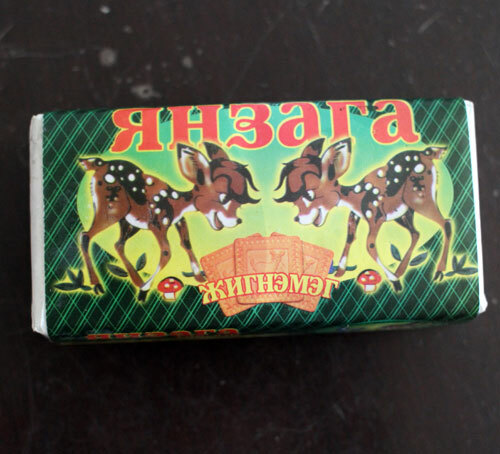 The package would indicate that the biscuits make innocent fawns turn evil. Should you find wandering aimlessly in the woods, I would recommend against leaving a trail of these crumbs as a trail behind you. A Grimms worthy tale could ensue.